Here is another geeky watch for today, this one looks a lot harder to read the time on than the last one, the Storm Synth Watch. 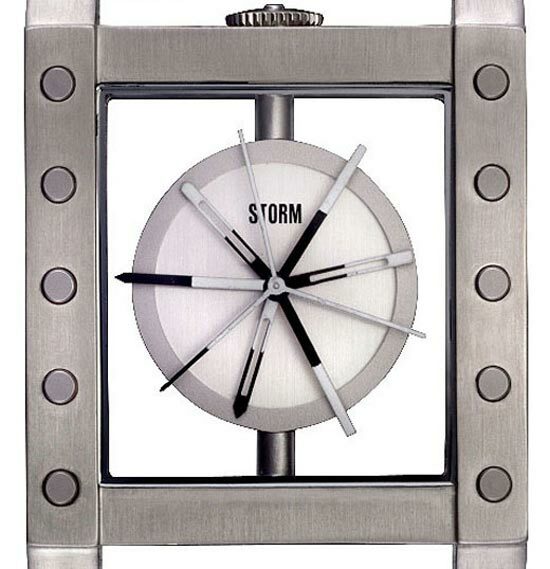 The Storm Synth Watch features a total of 9 watch hands, only two are the real ones which tell the time the other six are decoys, and there is a second hand. Two of the hands have pointed tips, these are the ones that tell the time, the rest are just there to confuse you. 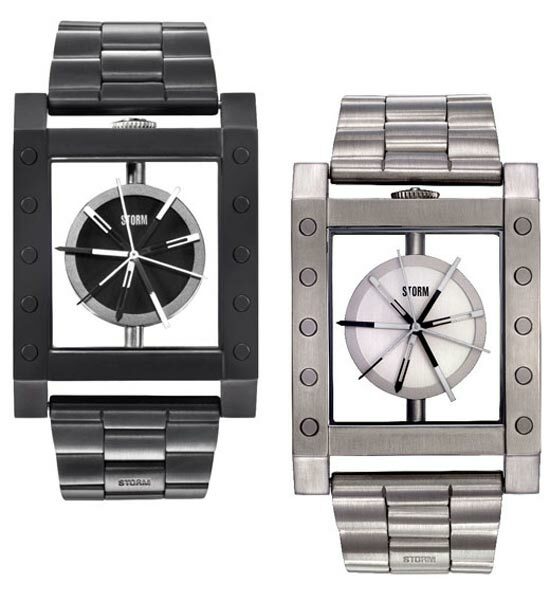 The Storm Synth is available for $170 for the stainless steel version and $199 for the slate version from Watchisimo.